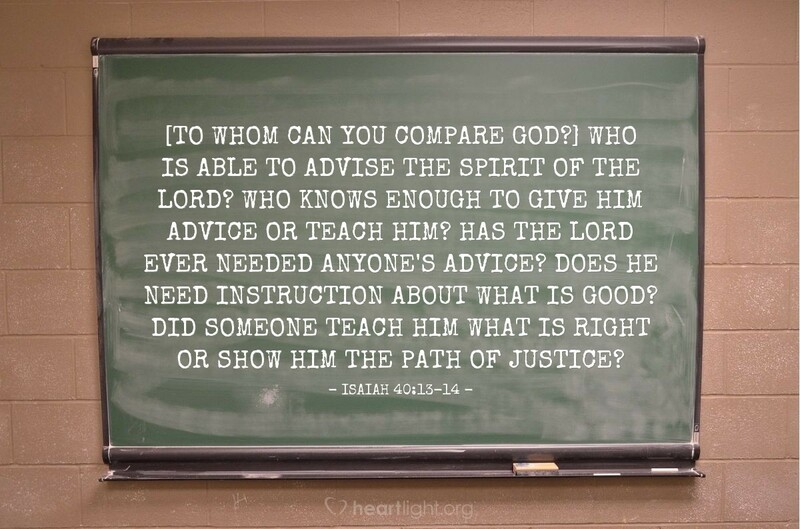 [To whom can you compare God?] Who is able to advise the Spirit of the LORD? Who knows enough to give him advice or teach him? Has the LORD ever needed anyone's advice? Does he need instruction about what is good? Did someone teach him what is right or show him the path of justice?